Is this Australia’s Largest Collection of Gumnut Babies? Is Ngaire Brodie Australia’s biggest May Gibbs fan? If you consider the number of May Gibbs collectibles Ngaire has in her possession, you’d have every reason to think she is. Ngaire was first introduced to Australia’s much-loved children’s author, illustrator, and cartoonist at the age of six or seven. She received the ever-popular book Snugglepot & Cuddlepie as a Christmas gift. 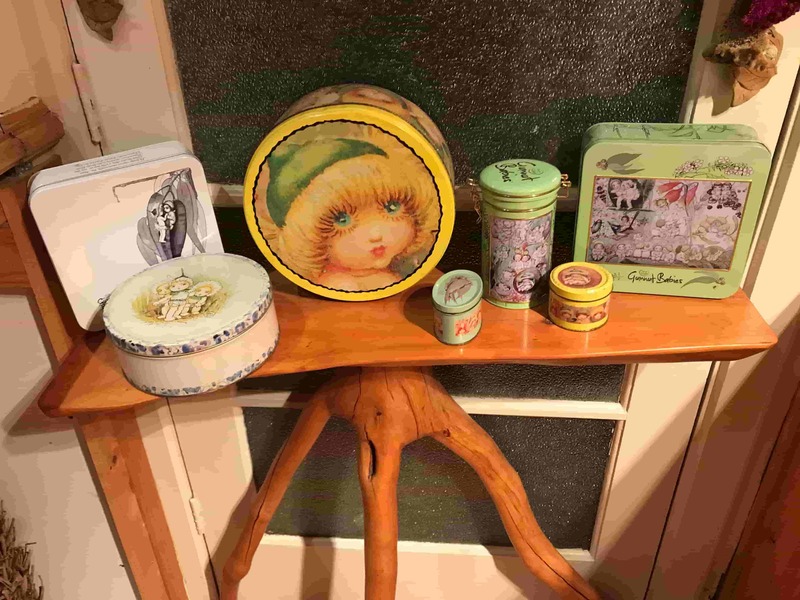 Fast forward a few decades and Ngaire purchased her first May Gibbs collectibles on a visit back home to Australia whilst living overseas. “I lived overseas for about 5 years when I was in my early twenties and during a visit home, I purchased a few Gumnut Baby items to remind me of home and alleviate a bit of homesickness,” says Ngaire. 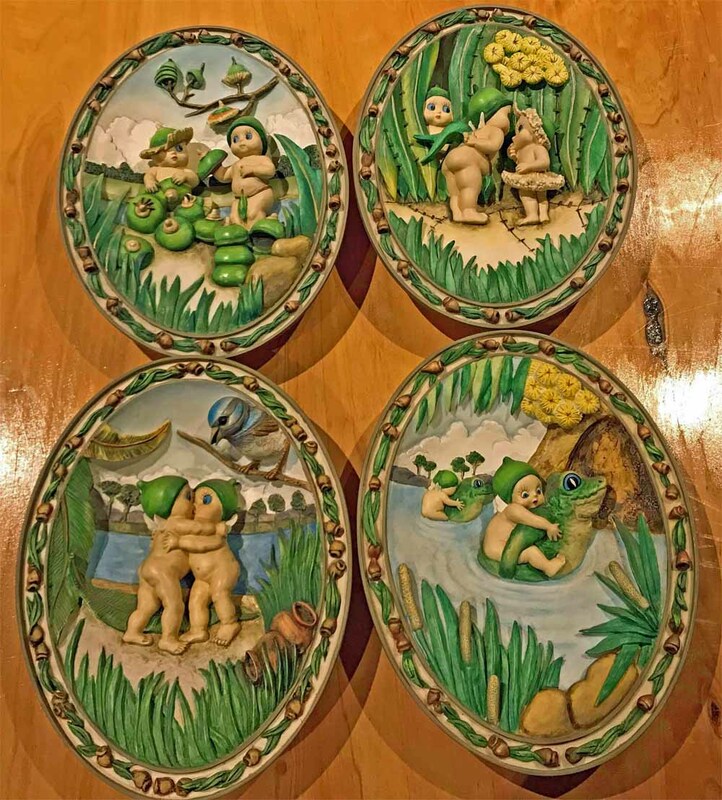 When she moved back to Australia permanently, Ngaire discovered more Gumnut Baby items on the market, and thus her obsession for May Gibbs collectibles began. 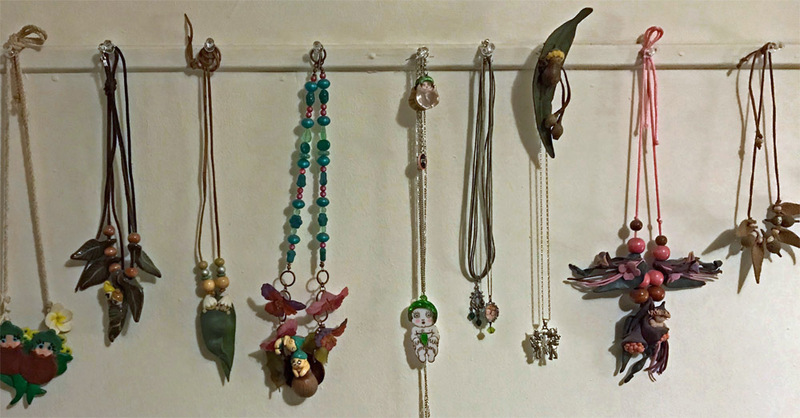 “Once I’d started collecting I couldn’t stop and then my friends and family started giving me things that they had found so my collection just grew and grew,” explains Ngaire. 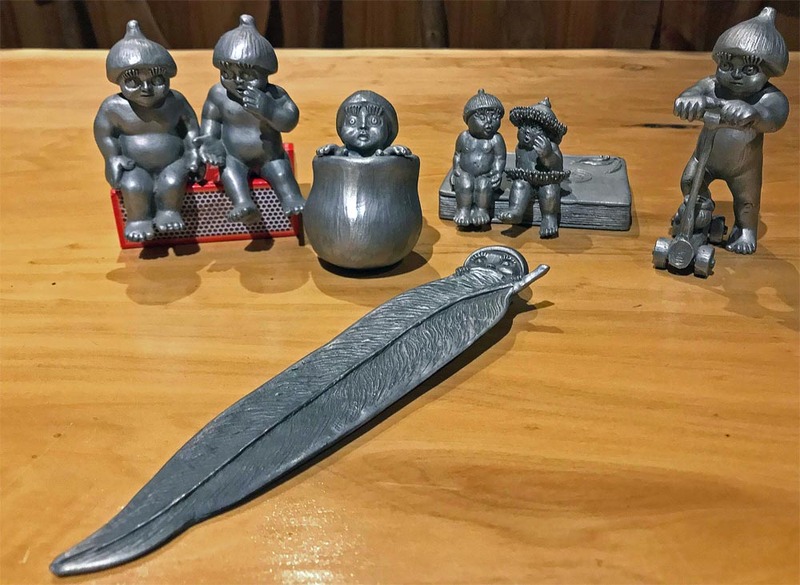 May Gibbs collectibles: Pewter figures made by Kirra Pewter in the late 1990’s or early 2000’s. 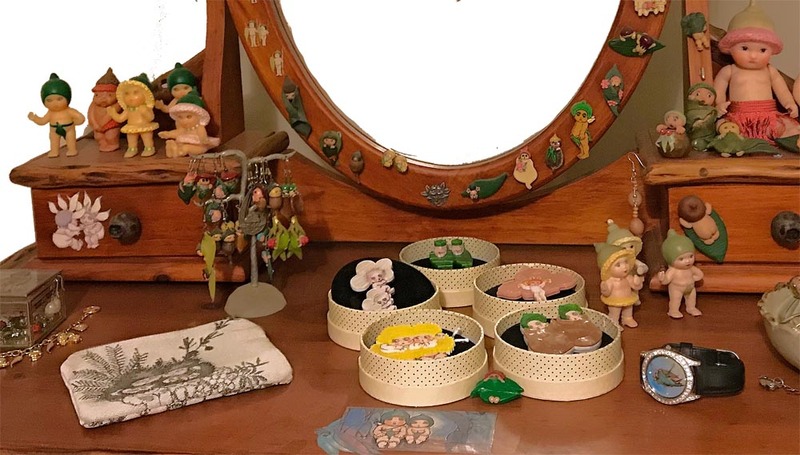 May Gibbs collectibles: figurines and Erstwilder brooches. A year ago, the iconic Melbourne based jewellery designer Erstwilder collaborated with the May Gibbs Foundation and released a range of Gumnut Babies necklaces, brooches and earrings. Ngaire, of course, owns the Erstwilder collection, displayed alongside her other May Gibbs collectibles. Are you hiding a stockpile of May Gibbs collectibles, too? Get in touch! 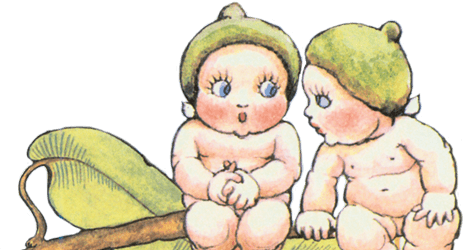 Discover more May Gibbs stories, fun & games here. And follow along with all the latest May Gibbs news on Facebook & Instagram. This contribution is from Eco Erica – Eco Erica is a nature lover, eco blogger and mum. Eco Erica is all about helping little ones embrace a passion for sustainable living and a love of the great outdoors.